This week has been a rather busy one. I’ve spent far too much time racing to get from A to B rather than slowly enjoying the countryside around me. I’m going to have a very relaxing and enjoyable potter up the Grand Union Leicester Line for ten days before the start of my October discovery days to help me recover. The mad dash back to Rugby began on Sunday as soon as I finished last Sunday’s newsletter and left my dank and muddy mooring close to Gnosall Heath. I swept through short but beautifully put together Cowley tunnel with its undulating roof passing three tracksuit wearing eastern Europeans, each carrying rods set up for spinning but no nets. The cynic in me suggested that they were fishing for the pot rather than for sport. As I approached Wheaton Aston two buzzards flapped lazily from a canal side field to a treetop perch and watched me intently as I passed beneath. I could see Cannock Chase’s vast acreage of conifers ten miles to the east as the crow flies but twenty eight miles by canal. I stopped close to Wheaton Aston for the night rather than moor to close to Wolverhampton’s noise. I started at 8am on Monday in heavy drizzle, protected from the elements by heavy duty waterproofs, a hat, gloves and fleece top. September is usually a warm and gentle month but my stove is often on in the mornings now. The summer is drawing to a close. Through Brewood and another hour of peace and quiet before the rising noise of Wolverhampton’s industry. 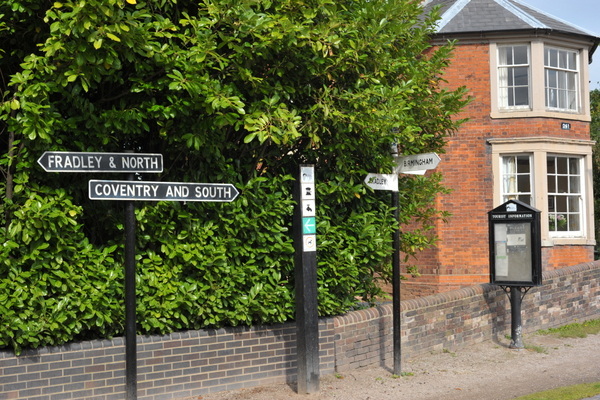 Two miles short of Wolverhampton city centre at Autherley Junction I turned north east towards Great Haywood. The stop lock before the junction is a bit of a pain for solo boaters. 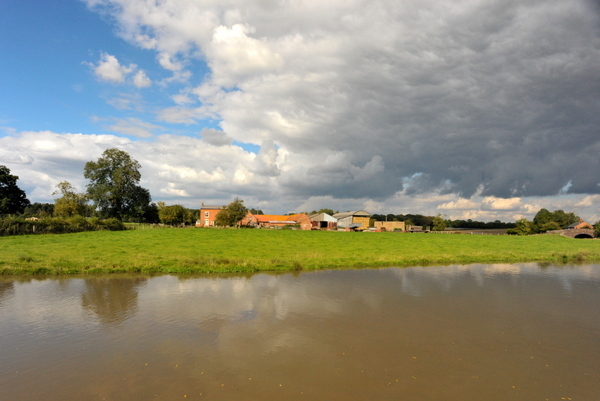 Napton Narrowboats have one of their two bases there. When I passed, one of their hire boats was moored securely on the lock landing so the only way of setting the lock was by tying up to the hire boat and climbing over it set the lock. Tying on to the hire boat wouldn’t have been a problem if there was actually an anchor point to tie my rope to, but there wasn’t so I tied an ineffective not around their centre line with mine and abandoned ship. I joined the Staffs and Worcester canal after a brief but memorable introduction to the Shropshire Union canal. 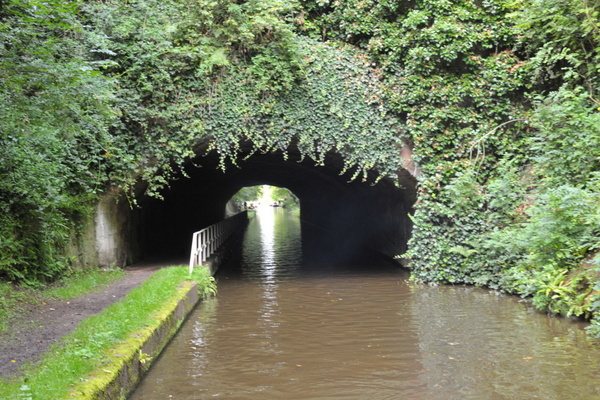 The three words I would use to best describe the canal is cuttings, embankments and straight. For me the far reaching views on the Shroppie are somewhat spoiled by plodding along mile after mile of arrow straight waterway. 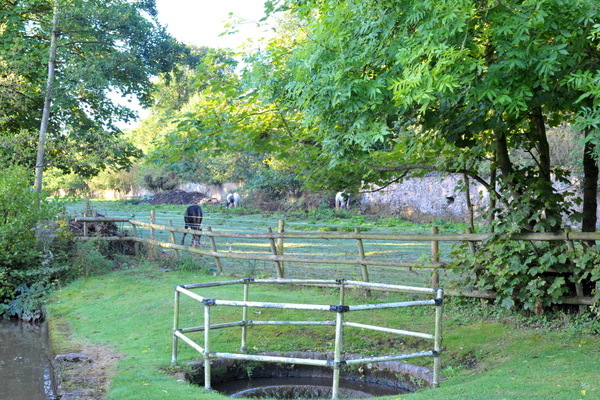 The relatively few moorings available along the Shroppie don’t add to its appeal either. The Staffs and Worcester’s constant twists and turns made a welcome change, as did the narrow section on the approach to the M54 bridge. On any otherwise deserted canal, you can pretty much guarantee that you’ll meet another boat or two at a section where two boats can’t pass. In my case three boats heading north west met three boats heading south east. The beauty of cruising the inland waterways in narrowboats is that there’s rarely a problem when two boats meet at a tight spot. One squeezes close to the offside, scouring the cabin side with branches and brambles while the other grinds along the rocky shallows close to the towpath. Each boat owner accepts the knocks and scrapes as an everyday part of boating. Every time I scrape my boat through a gap like this though I’m pleased I don’t have the stress of trying to protect an expensively painted cabin. I’m not worried about scraping a little paint but I was a little twitchy at Otherton lock when I almost suffered some real damage. My normal routine for descending a lock is to leave the boat to its own devices as I let the water out. 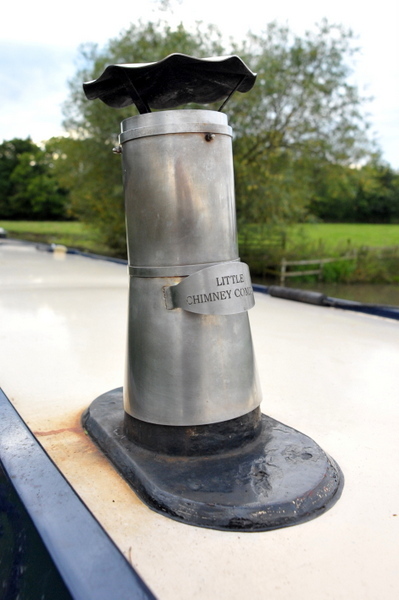 The lock’s escaping water draws the boat forward and away from the dangers of getting caught on the cill. When the lock has emptied, the boat begins to drift back towards the cill but I climb down the escape ladder, walk along my roof and then drop down into the cockpit before the stern reaches the cill and the possible danger of a leaking lock gate allowing water to cascade onto the back deck, and possibly into the engine room. At Otherton lock the single escape ladder is very close to the downstream gate so by the time I opened both gates and reached the escape ladder the boat had almost drifted away from it. I just managed to step on the cratch board before it disappeared, which was very fortunate indeed. By the time I jumped down into the cockpit, water from the leaking upstream gate was cascading onto my back deck and splashing in to the engine room. I spoke to a boater last week who found himself in a similar situation. 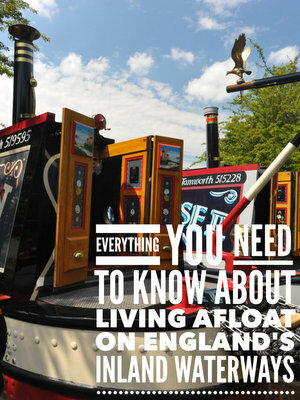 In his case though the boat was pinned under the cascade while the water flowed through the engine room into his cabin. His boat sank. Away from Otherton lock and the din of rush hour traffic thundering along the nearby M6 the heavens opened as I cruised out of Penkridge. I stopped under the M6 bridge in the dry while I pulled on my heavy duty waterproofs, pulled the hood tight around my face and then sailed away from the bridge to do battle with the rain. Of course the rain had stopped by then so I stewed in my plastic body bag for the remaining half hour of the day. I started at dawn the following morning hoping to put in twelve hours and reach Fazeley junction. Beautiful Cannock Chase stretched before me as I emerged from Deptfmore lock then skirted Baswich and Milford. On the outskirts of Milford a country house faced the Chase surrounded by ten acres of manicured waterside lawns. I joined a rare queue and Haywood lock and waited forty minutes for the five boats ahead of me. With a pretty lock side café on one side and Shugborough Hall on the other, I could think of worse places to pass stand for a while chatting to fellow boaters. While I was waiting at Haywood lock I washed the starboard side of the boat. Cream cabin sides and braid on braid rope aren’t a good combination. By the time I dropped down Colwich lock it was dirty again. I bought my posh braid on braid rope at Crick this year. I had been after a set for years. The rope is soft to the touch and is wonderfully flexible for tying knots. It’s also as absorbent as a sponge. It holds the muck and rain when you drag it through grass, soaking you and your clothes if you run it through your hands and it leaves black rope marks on every part of the cabin it touches. Switching to this rope wasn’t my best ever idea. I was lucky to find a place in the early afternoon on the very popular visitor moorings at Rugely with both Tesco and Morrison supermarkets next to the canal. I did my weekly grocery shopping including half a roasted chicken and an apple and cheese salad for lunch. I reached Fradley Junction by 5.30pm. I quickly passed through the three locks but faced a five minute delay as I turned onto the Coventry canal as two new owners tried to force their small GRP cruiser through the narrow channel spanned by a swing bridge. After three attempts they admitted defeat so moved over to let me pass. I stopped for the night close to Kings Orchard marina two hours short of my day’s target. The next day I moved slowly through Huddlesford past full visitor moorings next to The Plough and then hundreds of metres of towpath marked with the names of expected boats for the weekend’s biennial Huddlesford Gathering of historic boats and floating traders. Once through Fazeley Junction I reached the two locks of the Glascote flight and a lengthy delay for the two boats ahead of me to rise through the bottom lock. The lock is notoriously slow filling. So slow in fact that a framed poem written by a frustrated boater is displayed there. I chatted with the lady owner of an all-electric tug heading for the Huddlesford Gathering. The tug has a 650 litre tank to power the diesel generator which keeps their two tonnes of batteries charged. She told me that they have a bit of a problem with fishermen because of their silent running. After the half dozen encounters with anglers with roach poles blocking the canal, they now toot their horn as they approach otherwise the anglers don’t know they are there until the bow has pushed their rods away from the canal centre. She said they weren’t at all pleased when this happened. At Polesworth I passed the Little Chimney Company butty workshop and the boat the owners live on, Tailwind. The Little Chimney Company manufacture bespoke stainless steel chimneys. I purchased one last May. I am very happy with the investment after buying three chimneys from chandlers over the previous five years. All of them quickly decayed with 24/7 live aboard use. My stainless steel chimney doesn’t have a mark on it after eighteen months of daily use. A quick scrub with a scourer and soapy water is all that’s needed to bring it back to a showroom shine. I highly recommend stainless steel chimneys. I stopped for the night in after tackling the first two locks of the Atherstone flight. I couldn’t see my hand in front of my face by the time I moored so I couldn’t have wrung any more miles out of the day. On Thursday I was waiting for the dawn with the engine running ready for a twenty two mile ten lock day on my final cruise back to Rugby. With no other boats about I flew up the remaining nine locks of the Atherstone flight, cruised sedately through Hartshill and then slightly less sedately through Nuneaton. Shortly after leaving horrible Nuneaton, the dirtiest stretch of canal after Camp Hill locks in Birmingham in all of the eleven hundred plus miles I’ve covered this year, I had the dubious pleasure of meeting the angriest boater I’ve ever had the misfortune to meet. His cruiser stern narrowboat, covered in junk and patches of rust, appeared mid-stream around a bend as I came through a bridge. I moved over slightly to allow him to pass, but not too much because of the shallows on the outside of the bend. He wouldn’t veer an inch from his chosen line so we came within inches of each other. No problem. We didn’t touch. It’s a position every boater has been in quite regularly so there was nothing unusual in this at all. What was very unusual was his attitude when our two sterns passed. His face was purple with rage, veins stood out on his neck and he was, literally, spitting mad. Unfortunately, or probably very fortunately in this case, I couldn’t hear what he said because of my noisy exhaust. I didn’t need to hear his words to know what he was saying though. He was swearing at me, pointing in turn to my boat, his boat, the bridge, the sky, the water and then pausing every half a dozen words to spit aggressively in the water. He was still staring at me intently as he rounded the bend, not doubt intent on doing battle with the next boat crew he met. Middle aged men fuelled by rage and strong lager where a daily part of my job when I managed challenging pubs, especially in London, but the attitude of this boater was remarkable because it is so rare. I stopped for lunch on the visitor moorings above Hawkesbury junction then pressed on towards Rugby. I passed a group of very intent looking middle aged men with cameras near Hopsford Hall where the West Coast Main Line runs close to and parallel with the canal. According to a nearby moored boater, a steam train was due so the train enthusiasts were dribbling with excitement. At 5pm after eleven hours at the helm I moored for the night on the visitor moorings opposite Town Thorns Farm close to Brinklow. My cruise was successful in terms of moving quickly from Llangollen to Rugby, but it’s not the way to enjoy narrowboat life. Each long day at the helm became a chore rather than a pleasure. I passed dozens of spots I would have loved to moor for a day or two. The cruise was more work than pleasure, more about the destination than the journey. I won’t do it again. Of all the cruising I’ve done returning from Llangollen, the most enjoyable part was probably the hour or so from Brinklow to the centre of Rugby where I am now. I moved at not much more than tick over so I had plenty of time to appreciate the sights and sounds around me. The final hour was a little frustrating though because I was running out of coal. I knew Lime Farm Marina sold it because of the sign on the archway over their entrance but, after I pushed my stern through the shallow water opposite their entrance to make the turn, then shoehorned my boat into a narrow gap between moored boat a chap on their wharf told me that the marina was shut down while the owners were on holiday. He suggested trying my only other option before Rugby, nearby Amanda Boat Hire. I tried them. They were shut too. So here I am on a chilly Sunday morning contemplating adding the half dozen briquettes I have left to an almost cold fire. It’s a hard life.